Joe Diorio’s stature among musicians is undisputed, but his recordings are notoriously hard to find. 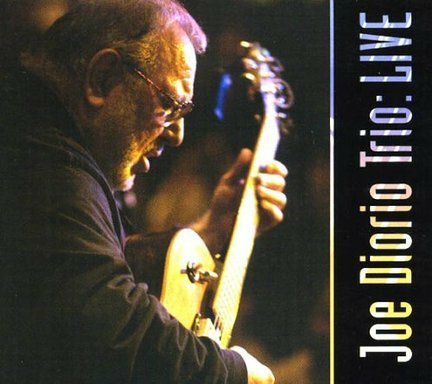 Joe Diorio Trio: Live could turn out to be his most widely distributed album to date. It captures the guitarist live in San Diego in 1991, with Bob Magnusson on bass and Jim Plank on drums. The concept is simple: six standards, called on the spot, played at a length of 10 minutes or so. Diorio’s tone is robust, and his solos are entirely free of stock licks. His melodic and intervallic paths through the changes are consistently fresh, creating solid chemistry with the rhythm section. All the cuts except “Corcovado” begin with a rubato guitar introduction that Diorio gradually steers into tempo and form. But on “Lover Man,” it’s the full trio that sketches the rubato theme; angular chords linger dramatically before the group settles into confident double-time swing. “Green Dolphin Street,” “Yesterdays” and “The Night Has a Thousand Eyes” yield hard-swinging moments as well. Diorio’s chords under Magnusson on “A Child Is Born” are especially creative, and his “Surrey With the Fringe on Top” quote on the outro of “A Thousand Eyes” makes for a satisfying close.